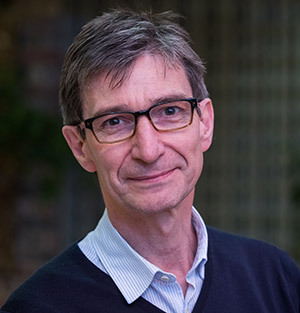 An interview with Mark Harrison, Managing Director, Digital Production Partnership. How can an association like DPP be helpful in this changing scenario? One of the defining characteristics of the industry right now, is that it’s no longer possible for any organization, any content provider, or any supplier, to have all the expertise and all the capabilities that are required to be successful in a very complex and fast moving environment. So, it becomes essential to establish relationships and to understand who you will need to partner with and how that partner could help. it’s very important to have an organization like the DPP which is not attached to any part of the supply chain, to help this process. We are not advocating for anyone, we are entirely neutral. All we do is to coordinate the conversations that need to happen in order for companies to understand the kind of relationships that they need to have in order to manage change. And also, to be a place where the supply chain can tell us if there are particular obstacles we can help to solve. An example of this is the way we by assist with interoperability, through the creation of new industry specifications, or how we establish best practices that would be helpful to everyone. We are here to help. What are the main goals for DPP in 2018? This year we have two principal goals – one related to technical work and the other related to our engagement work. We finished 2017 with many member companies appreciating the way we create high quality, targeted engagements – by bringing together decision makers from suppliers and customers to talk in environments that feel safe. So this year we will create many more of those moments involving very high quality senior engagement. That’s one goal. The other goal is that we have some important pieces of technical work, particularly our mastering format specification called IMF for broadcasting and online; our news exchange format which is a way to exchange metadata in a news environment; and also our security program. So we want to land and implement all of those technical pieces in the first half of this year. And when those are done we can focus on a new technical target – such as our plan to define best practices for the exchange of content in cloud environments. We’re living with an unprecedented and expanding range of competitors in the broadcast industry due to OTTs and VOD consumption, will this trend be increasing in the upcoming years? How do you think this situation will evolve? I think the picture in the next couple of years will continue to be extremely unstable. I’m a great believer that change never proceeds in a straight line. Now it’s very easy to say that the online players like Amazon, Netflix, Facebook or Google are so strong and so effective, so they will get bigger and bigger and everybody else will suffer and die. But it won’t be like that because it’s never is like that! And although the new giants in the OTT space are absolutely certain to continue to be very important in this changing industry, I also expect that we will see several new relationships and partnerships emerging. Something we must never forget is that now it’s the consumer that decides; and there are bound to be certain needs that consumers will have around media. There is so much content in the world and consumers need to find it and discover it more easily. The drive to aggregate searchable content will be very important for any content provider that seeks to retain consumers. Will broadcasters disappear or be transformed into another kind of company because of the broadband and OTT ecosystem success? It could be a re-shaping of the broadcast community like Fox and Disney. We hear of a lot of discussions going on between major broadcasters, and it makes a lot of sense for them to begin to work together. The broadcast community has a huge back catalogue of content, and that has enormous value. And also of course they really know how to commission and make content, because they have decades of experience doing it. So this means they are still in a very strong position. It would be interesting if broadcasters began to focus on the editorial side, with their content making strength, and began to outsource some of their technology infrastructure. The new players are focusing on Live Sports production as a main topic for their strategy in the upcoming years. Are sports the only real Pay TV Driver? Live sports seem to have a direct line into the heart of consumers, after all its what Sky built their business on, and many others have too. So it’s something very powerful. But we must also remember that scripted content like movies and dramas are also very powerful drivers. Those two content types, drama and sports, are going to remain very powerful. What we might see is new players acquiring sports rights in order to gain a lot of share of the market and then begin to aggregate other kinds of content around it. Google, Facebook or Amazon are moving faster than broadcasters that seem not to innovate at the same pace, why is this happening? I think there’s a cultural challenge there. The new players are founded on the principle of innovation and of course they don’t have legacy infrastructure. Broadcasting companies have technical challenges with a lot of legacy infrastructure and long contracts with particular suppliers, and also cultural challenges that make it difficult to make decisions quickly. I used to work for a broadcaster and it pains me that it could take a year or more to make a decision about a major technology change or innovation. The competition is different, and the industry is now in a place where we need to make decisions continually. That’s why I think that broadcasters may look to partner or outsource their innovation – it’s a way to keep pace with the competition. Artificial Intelligence is one of the main topics nowadays, there’s a lot of hype around this and we wonder how it might impact the media industry. Is it a real game changer? What specific use cases do you see this technologies can disrupt or create? We had a conversation last week with many experts from the DPP membership while drawing up our predictions for 2018. What they told me was that they are seeing the application of machine learning in order to drive automation, and they see this moving very quickly. Automation is coming fast because it can be applied to functions that are people-heavy at a time when almost all organizations are looking to reduce costs. So it might be very interesting to see the way machine learning could reduce costs and impact the media industry over the next couple of years. How do you see a company like Epic Labs fitting in this Media/Broadcast ecosystem? Broadcasters in particular are beginning to look for companies that can help them to innovate, and this is where I think that a company like Epic Labs can have a really important role to play. Epic can help such companies to innovate by being agile and bringing fast thinking. 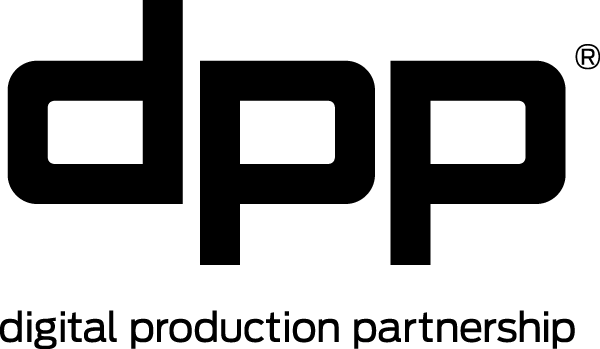 DPP (Digital Production Partnership) s a Membership-based. The DPP is a Membership-based, not-for-profit company, founded by our shareholders: ITV, BBC and Channel 4. Uniquely, our Membership represents the whole media supply chain: production companies, manufacturers, suppliers, service providers, post production facilities, consultancies, broadcasters, distributors, and not-for-profit organisations.